A must when travelling my plane, train or even car is hand gel this will be your life saver when you have to use the loo or clean your hands after touching something. It comes in various scents but I opted with a plain one and under 100ml. The second thing is wipes these are great for freshening up on the go and to clean any mess, I went with Strawberry Laces scent as the soap version of this smells divine. Rules and Regulations mean that you can't take certain things with you on flights, with other transports there isn't a problem so fill your bag with drinks, snacks and lots of sweets. But when flying you must always remember the rules, and to avoid any problems I tend to but things after I get through security. 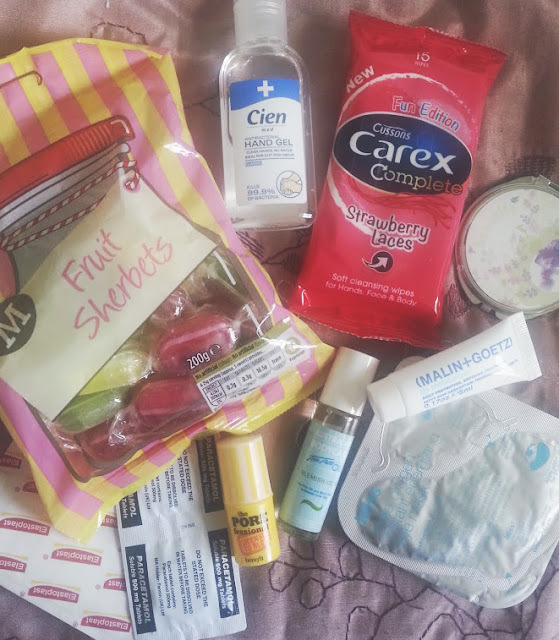 Apart from sweets which are must for me when on a plane, plasters in case of an emergency and some medicine for when you don't feel your best. 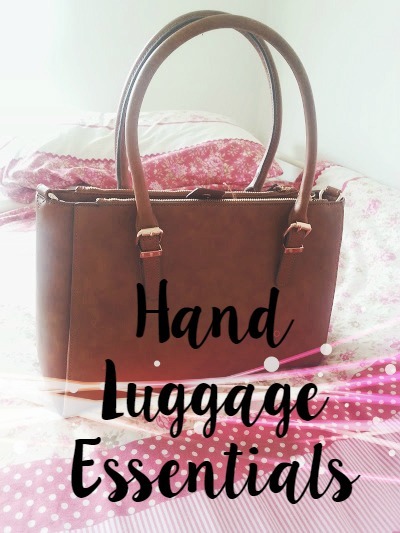 Three simple categories make packing your hand luggage a lot easier, what are you essentials?